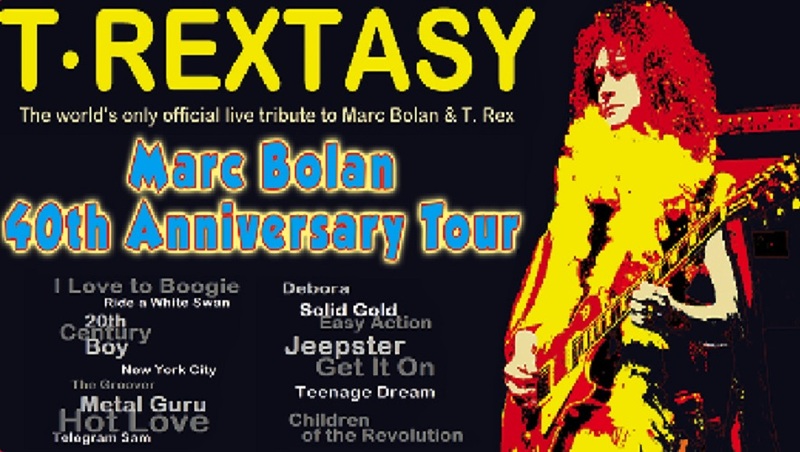 T.Rextasy are now accepted as the world’s only official live tribute band dedicated to Marc Bolan & T.Rex, and the only band endorsed and approved by Marc Bolan’s family, estate, original ex-members of T.Rex, and Bolan’s catalogue management. The band is consistently described by many as ‘legendary’ and ‘beyond the boundaries of tribute’. It’s been said that If you want to know exactly what a Marc Bolan rock’n’roll concert felt like in the 1970s, this gig is for you!